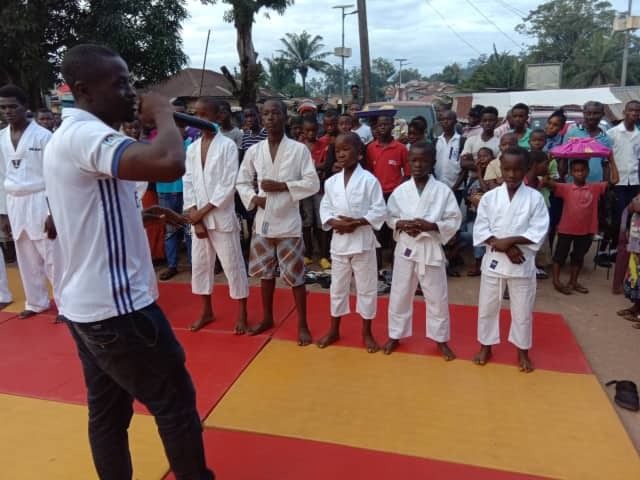 From October 10-18, 2018, the Sierra Leone Judo Federation hosted a training camp for children coming from the deprived communities of the country. Several judo session and demonstration were held in the capital city Freetown, but also in Bo city, the third largest city in Sierra Leone, and in Kabala, the capital and largest town of Koinadugu District in the Northern Province. The activities started on October 10th, 2018, and were led by the President Mr. Idrissa Massaquoi and the technical committee of the Sierra Leone Judo Association. Sierra Leone's modern history has been overshadowed by a devastating civil war, which ended in 2002 with the help of a large United Nations peacekeeping mission. Even if the country has experienced substantial economic growth in recent years, the ruinous effects of the civil war continue to be felt. Due to the country's situation and history, many people live in deprived areas and sometimes have no possibility to go to school, sport becoming one of the chances they have to get a better life. The president of the Judo Association thought that it fit to values of the moral code of judo such as Friendship and Modesty to expand the sport to more children. Over 8 days, the federation trained over hundreds of children and provided them with free judo uniforms, breakfast and food and a big judo showcase was held at the end of the camp in the different regions where parents and children attended. The aim was to popularized the sport and bring more children to practice judo and potentially become future champion. The whole programme was put in the framework of the preparation of a proposed international children judo training camp and competition, which would be designed for the U10 children of Sierra Leone, Liberia, Ivory Cost and Guinea. 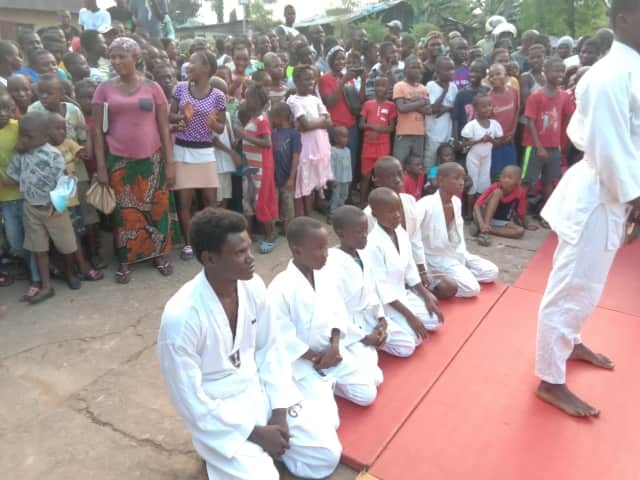 The hole event was covered by the country’s TV station and the print media which helped to popularized the Sierra Leone Judo for Children Foundation. An other important judo training camp will be held from the 25 to 30 of November 2018 in Bo City where over two hundred children will participate. The Association will not only teach judo but also help in their academic school work by providing teachers to teach English, Mathematic and Spelling during the camping.